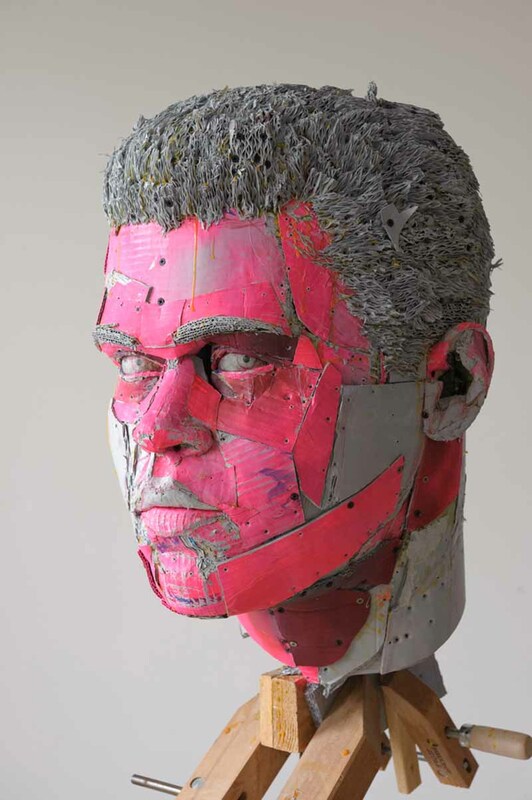 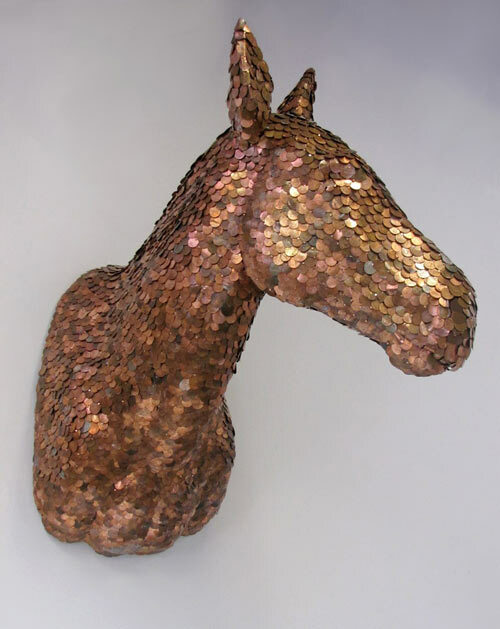 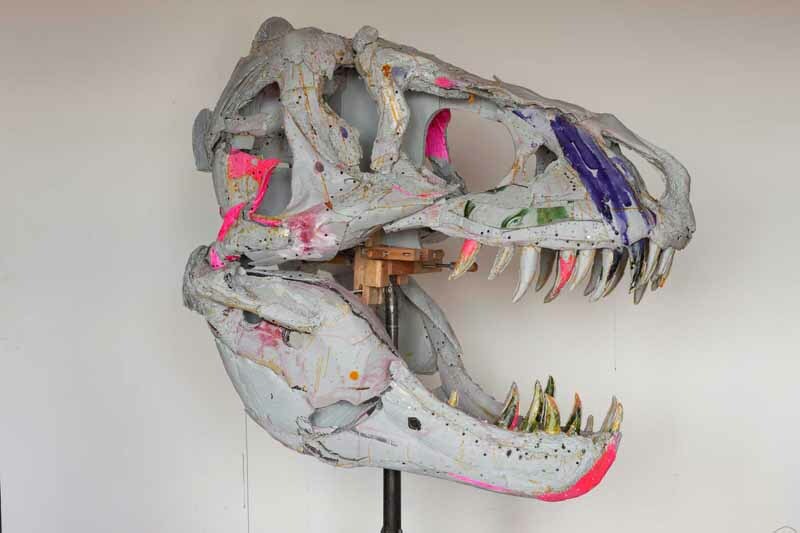 Scott Fife creates amazing sculptures using just cardboard, screws, and glue. 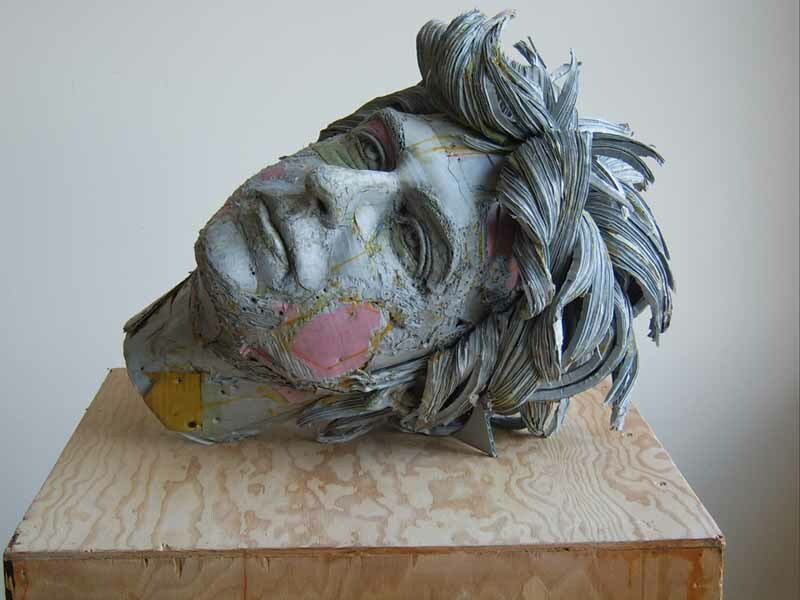 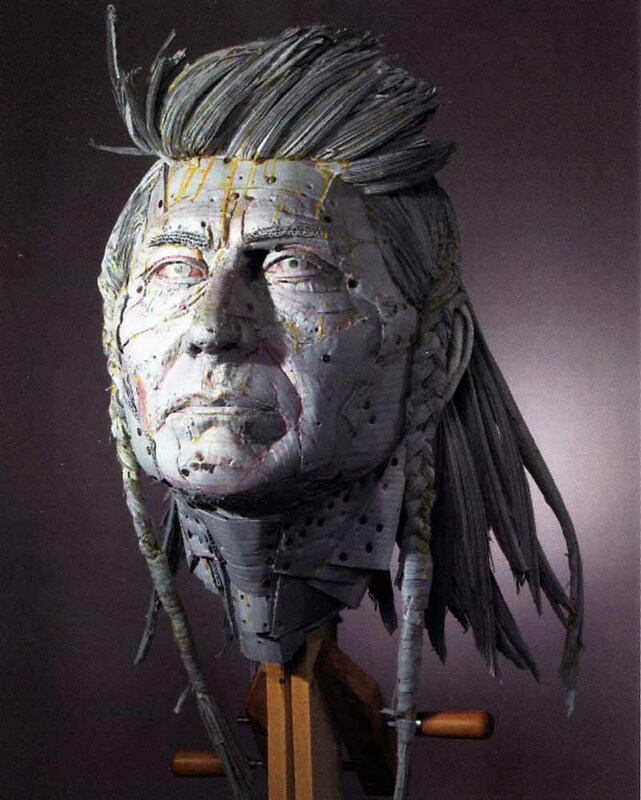 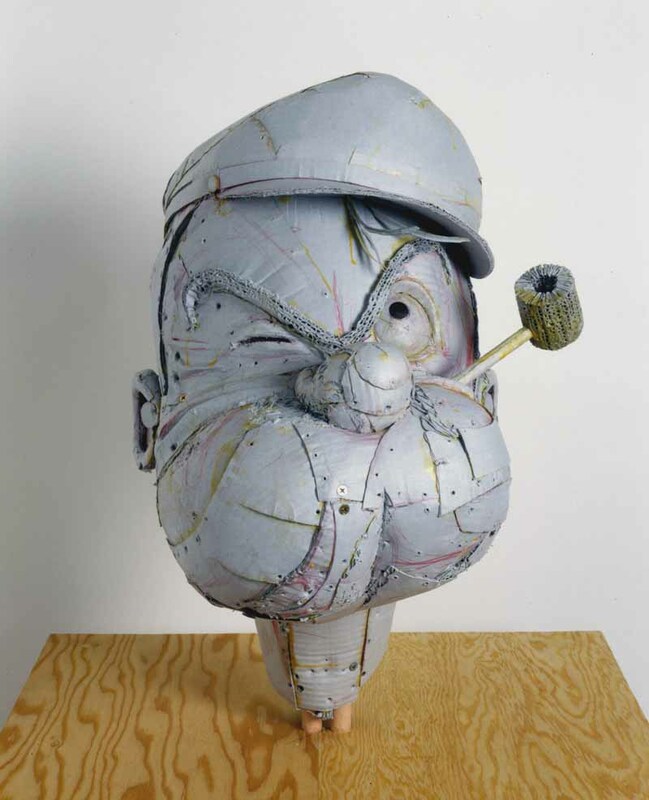 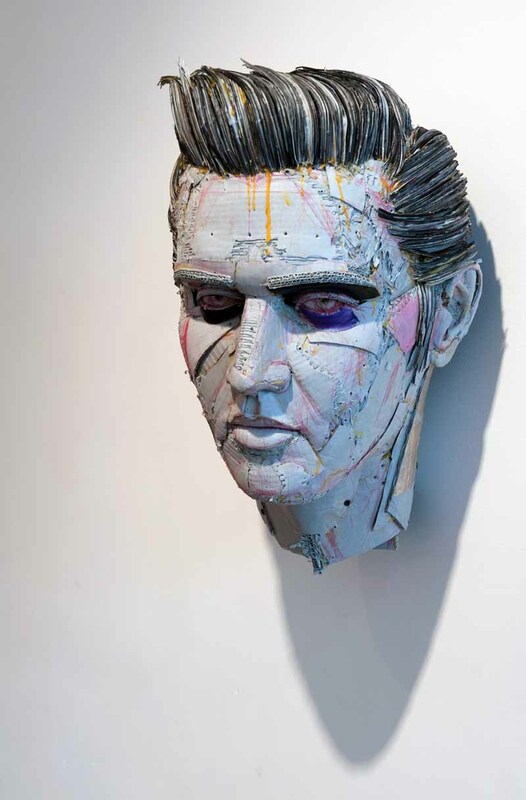 His impressively realistic busts depict heads of pop culture icons, historical figures, and animals. 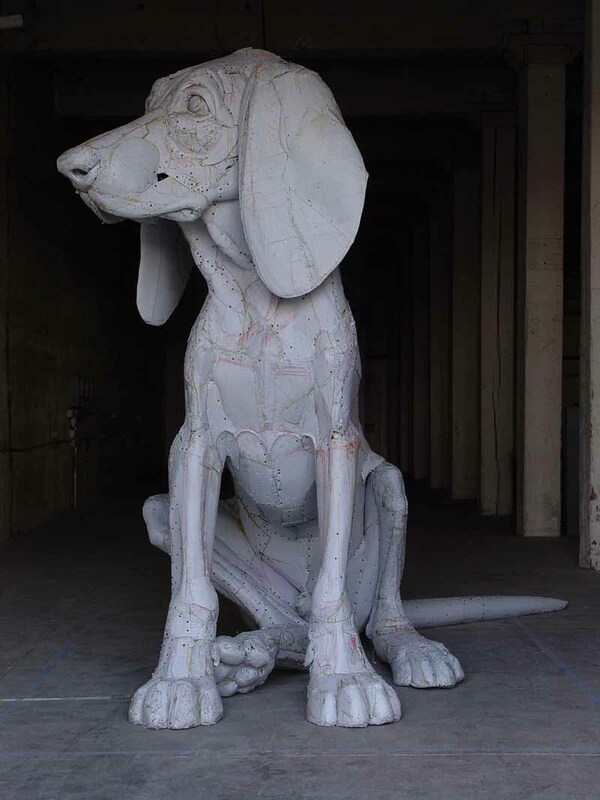 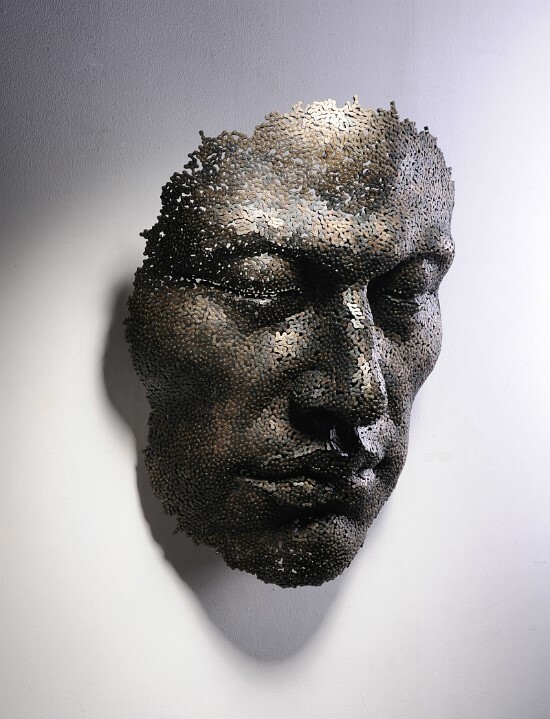 Amazing sculptures by the talented Xavier Veilhan! 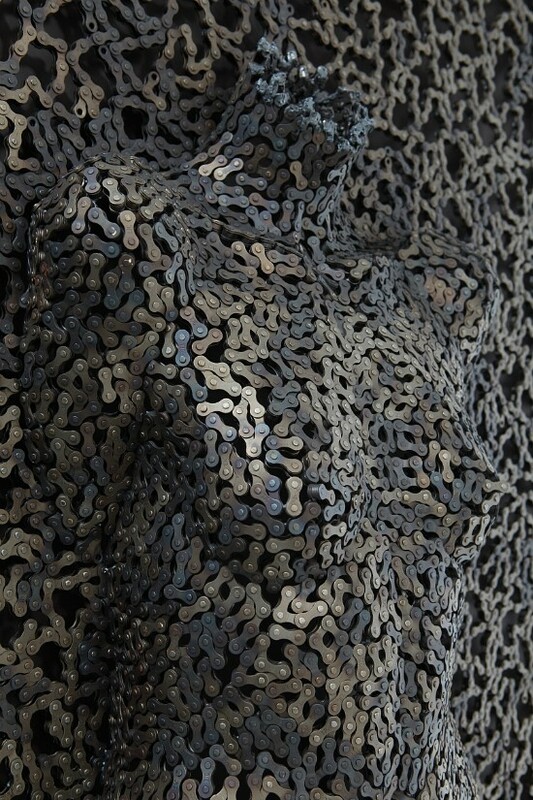 Tamara Kvesitadze is an architect, sculptor and painter, born in Tbilisi, Republic of Georgia in 1968. 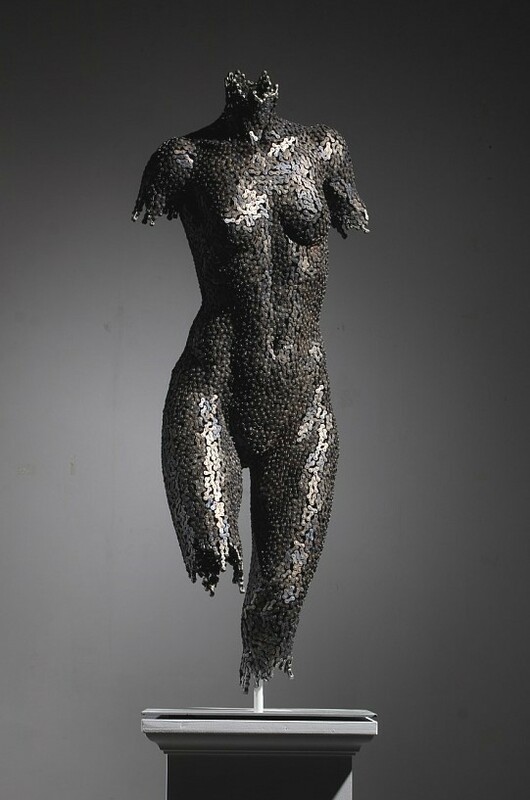 Her work is about contrasts and the concept of rebirth and continuity is obvious in her figures. 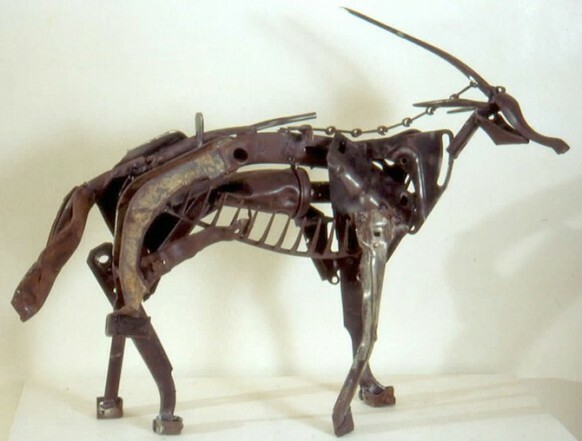 Georgia is a country between the East and the West, where the two civilisations meet, and these contrasts become important part of her work. 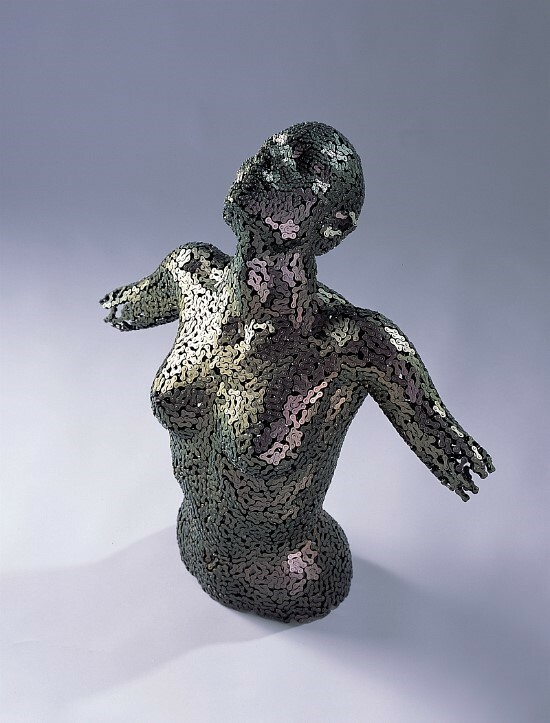 Her figures are beautiful in their timelessness and simplicity. 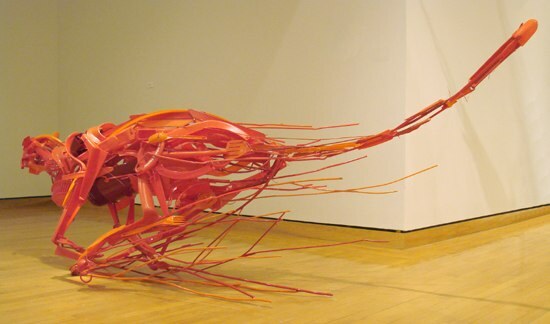 The sculptures poise between the organic and the mechanical, they move poetically, almost dance. 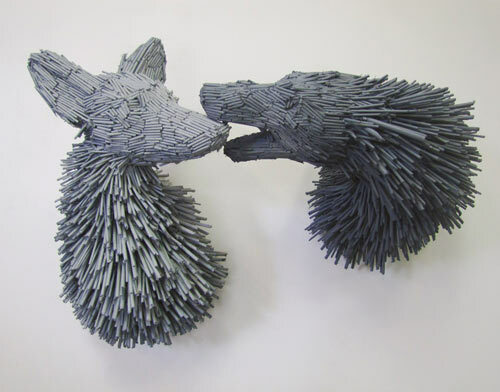 I’m a big fan of animal sculptures so I got excited with these amazing and sometimes funny animal heads made by Rachel Denny. She is using different materials in each one and the result is very impressive! 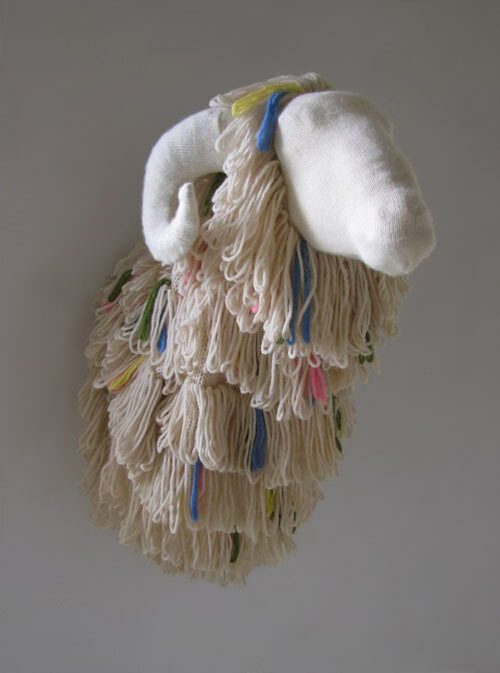 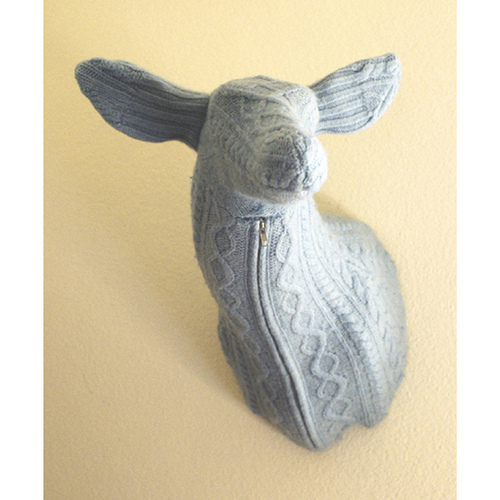 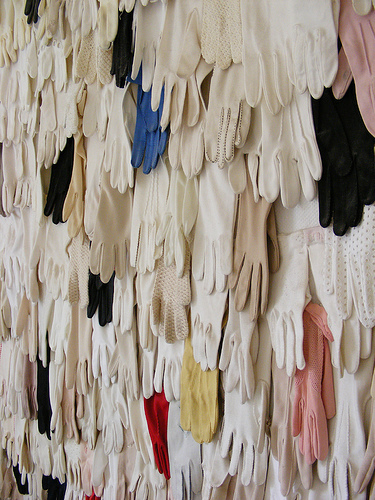 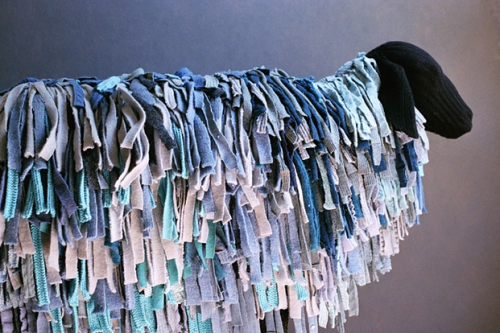 If you wonder if Rachel does only animals, have a look at this really cute rug made of gloves! 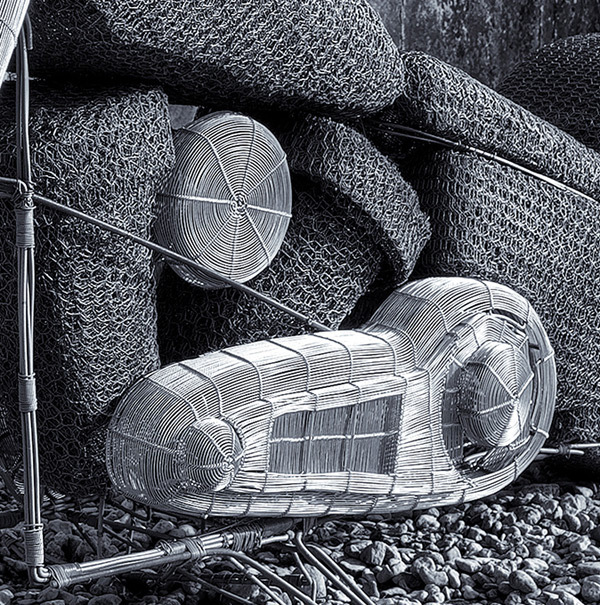 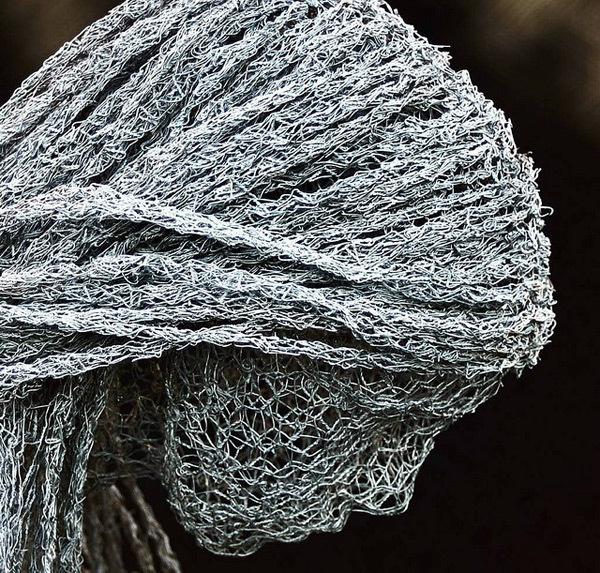 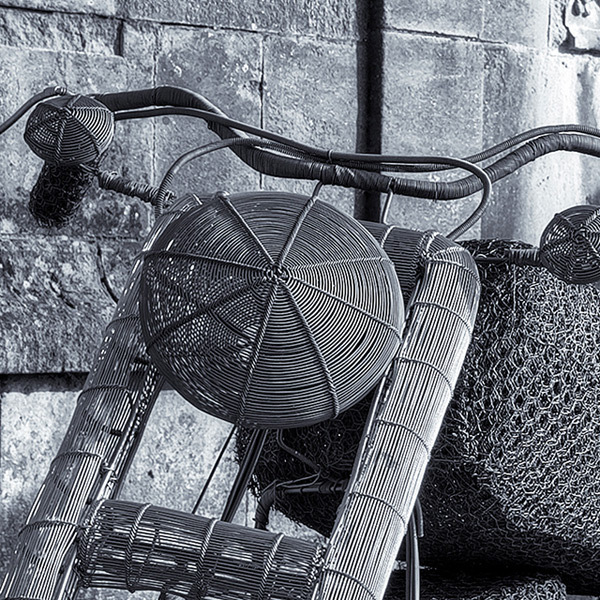 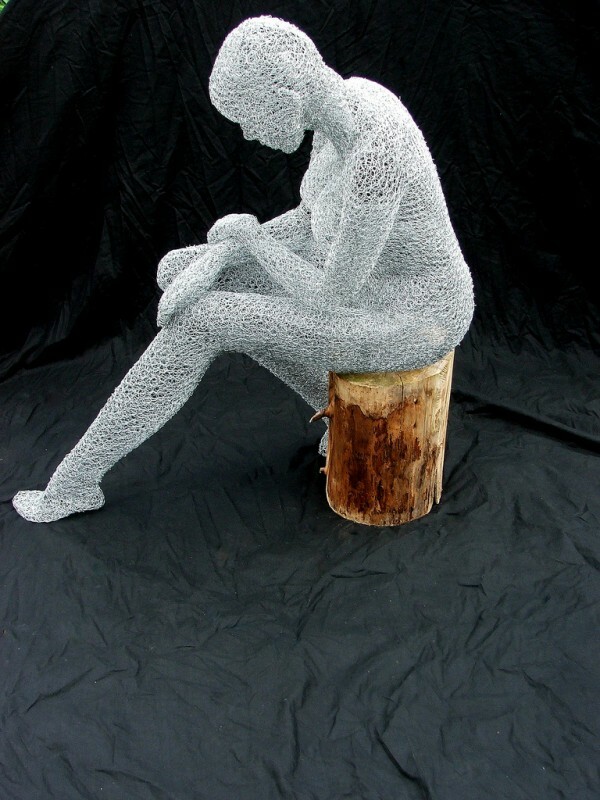 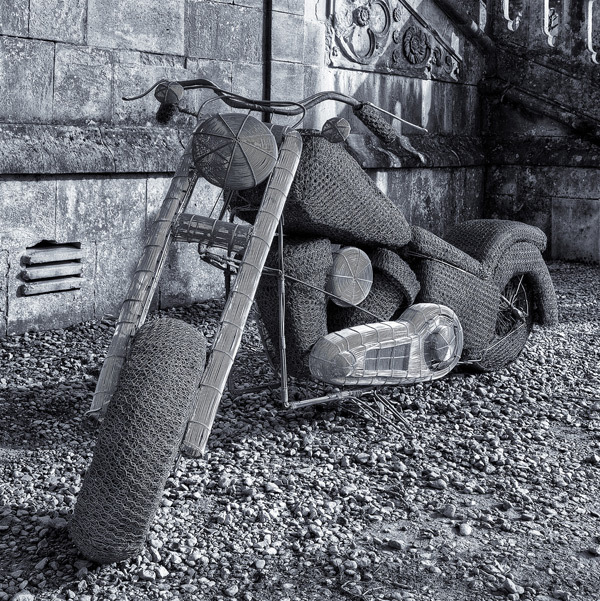 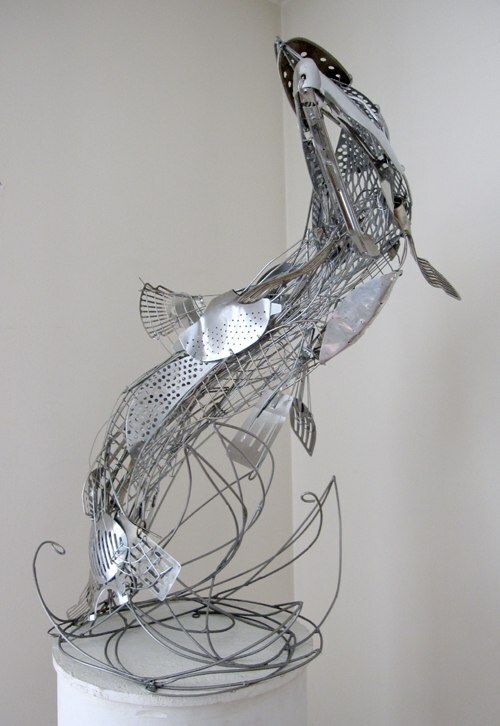 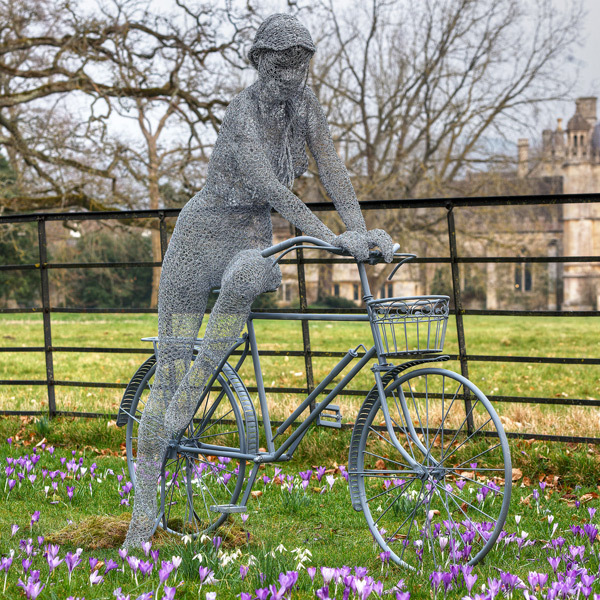 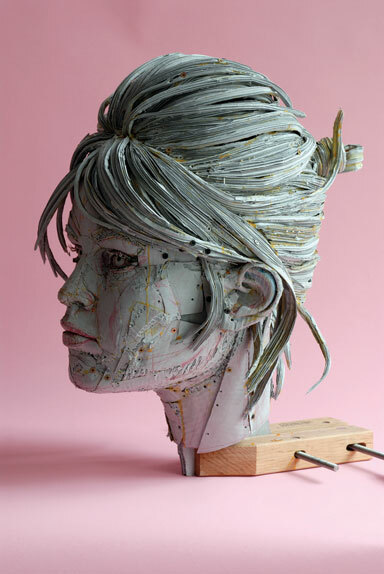 UK artist Derek Kinzett creates these gorgeous sculptures using different kinds of wire. 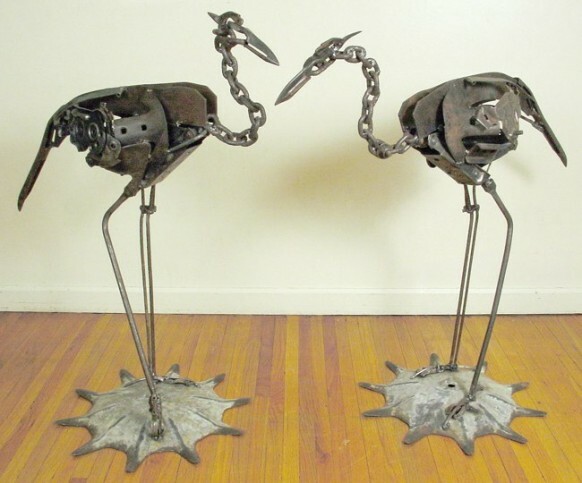 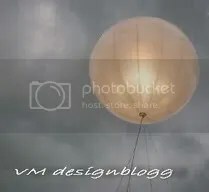 Have a look at his interesting portfolio. 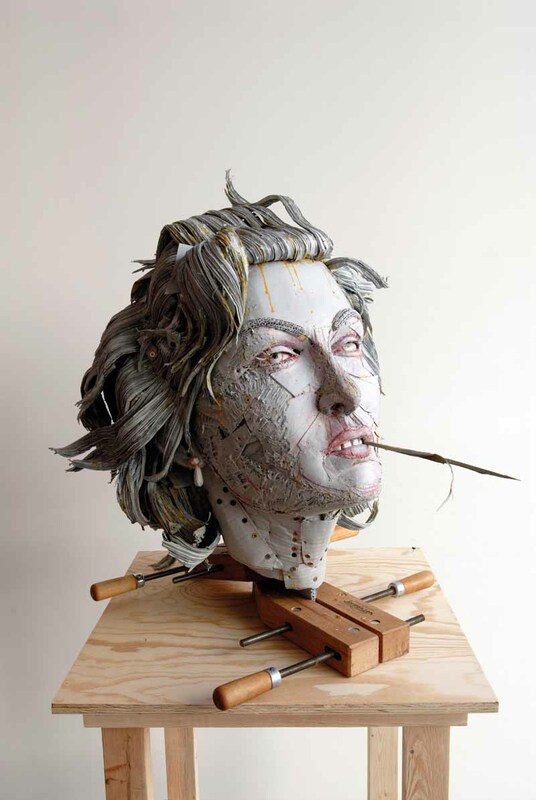 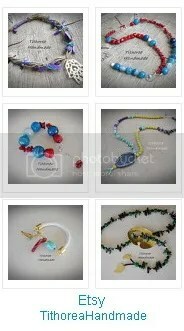 If you are not familiar with her work I’m sure you’ll love it! 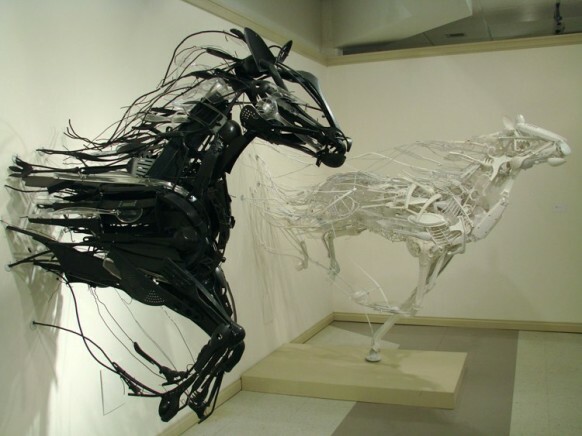 Sayaka is an artist born in Japan and currently living in Indiana, USA. 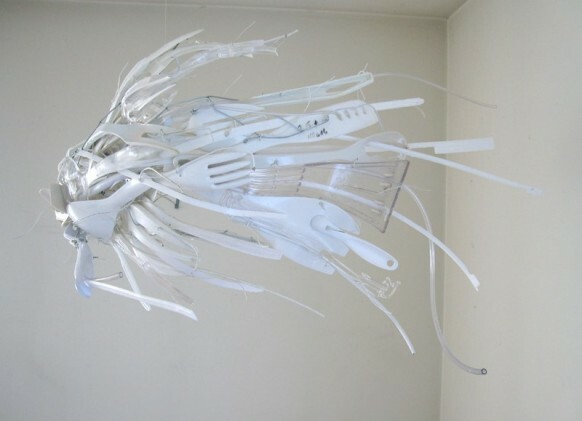 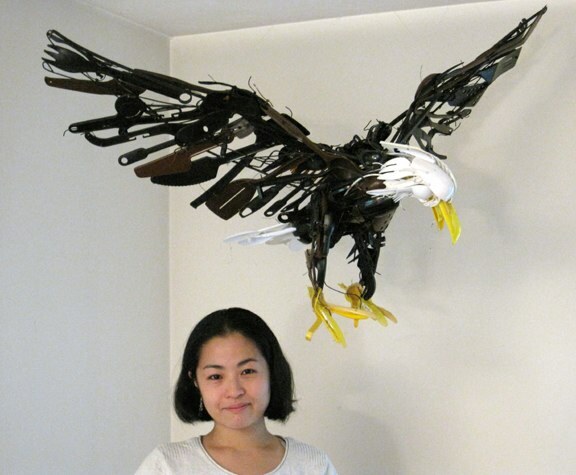 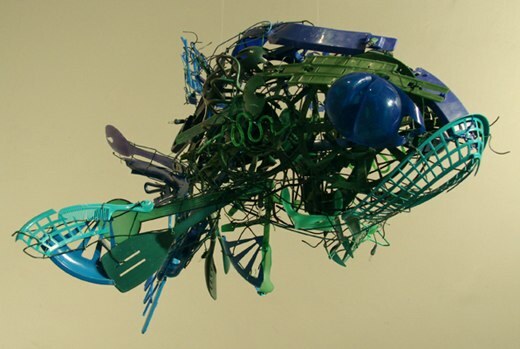 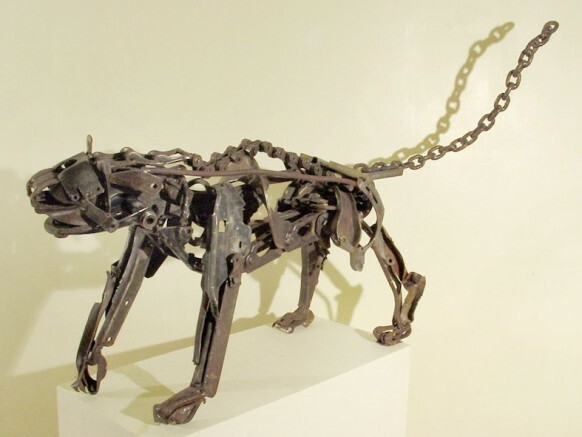 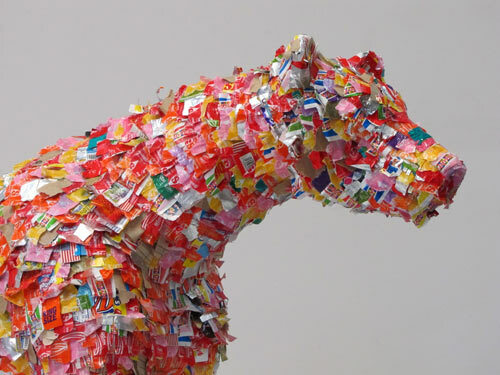 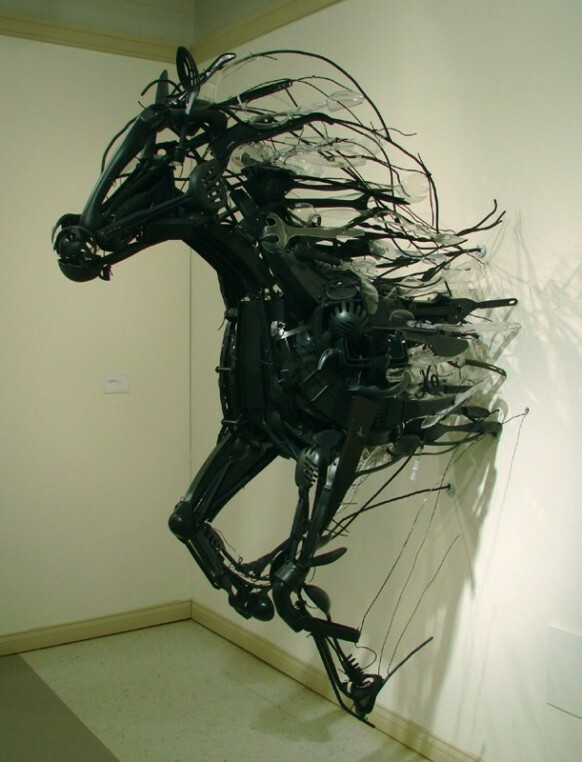 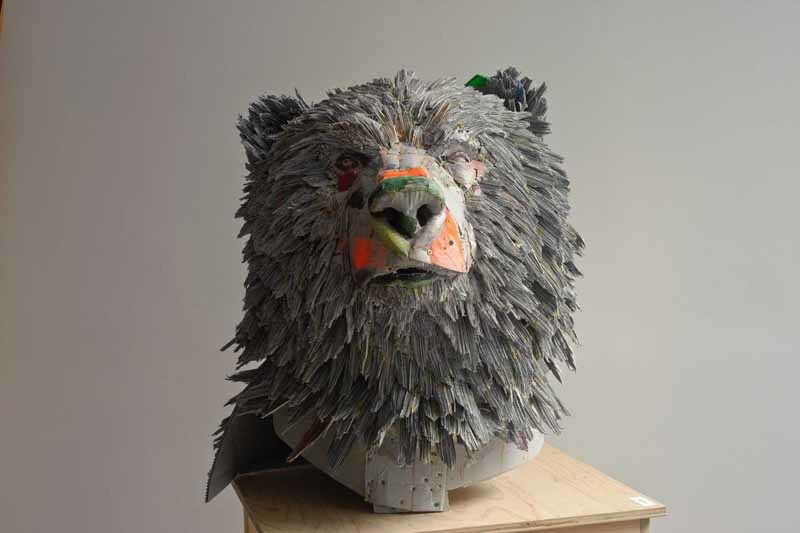 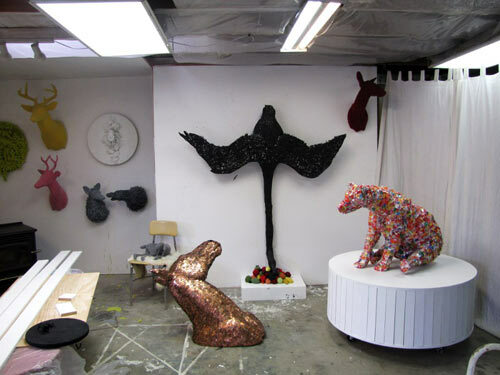 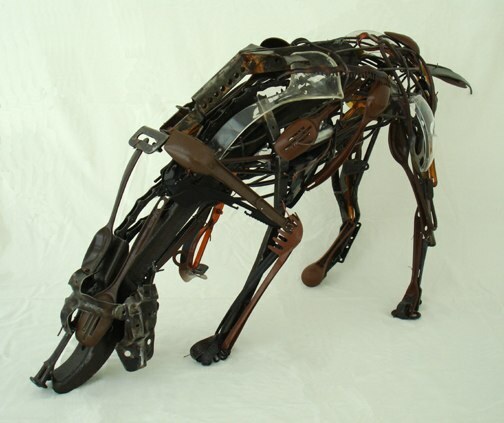 She uses discarded objects, mainly made of plastic, like kitchen tools, hangers, etc, to create stunning sculptures inspired by animals and nature. 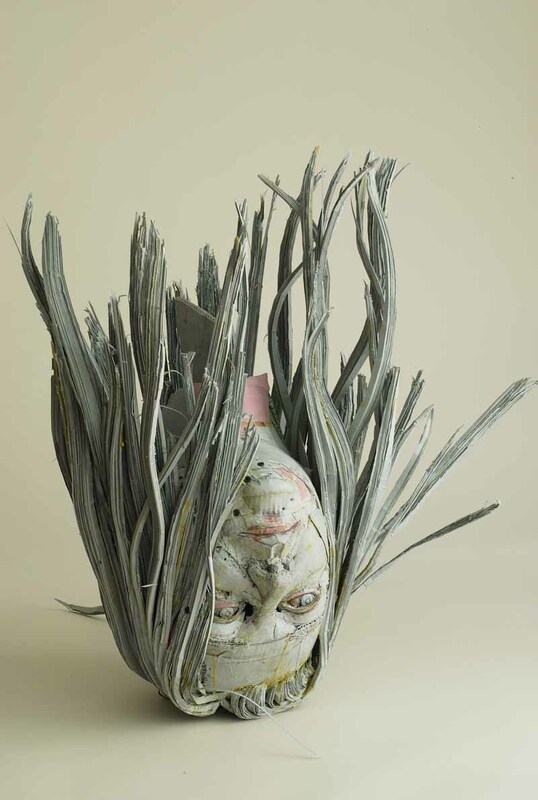 She says about her work that it is a way for her to contemplate and remind herself that even if there is conflict right now, there is a way for all the pieces to fit together. 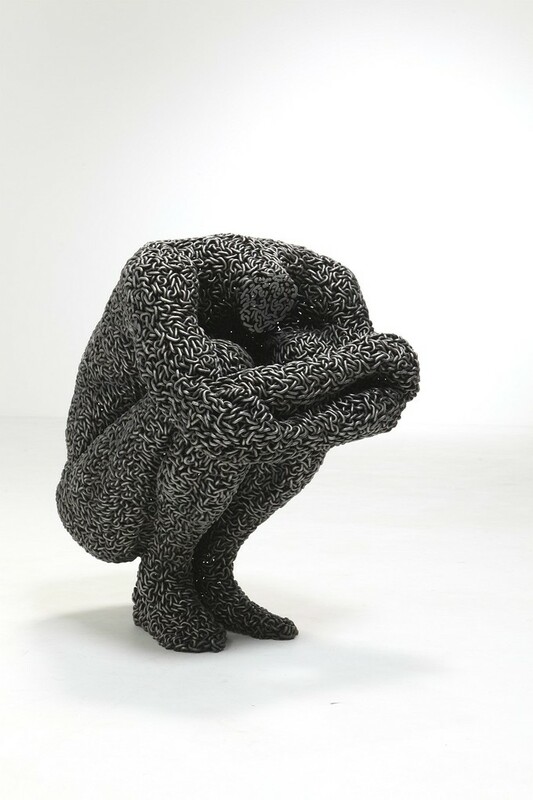 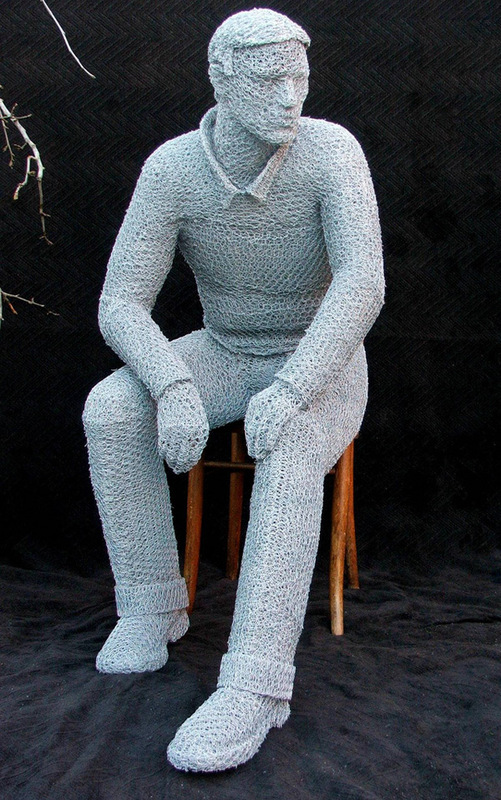 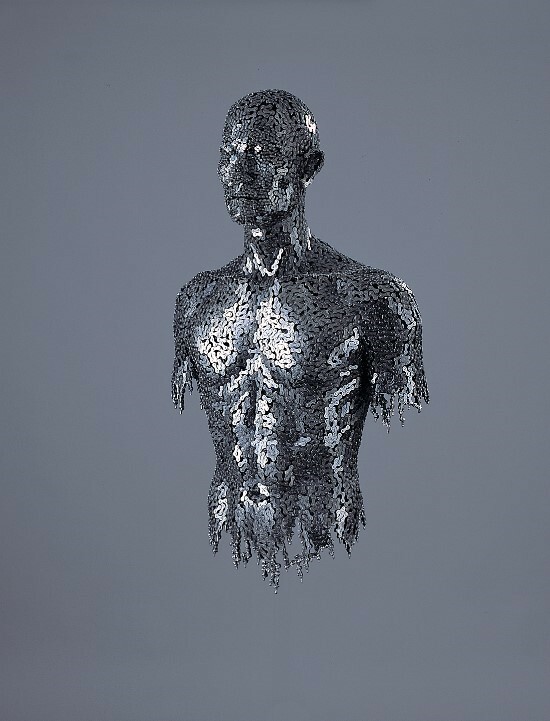 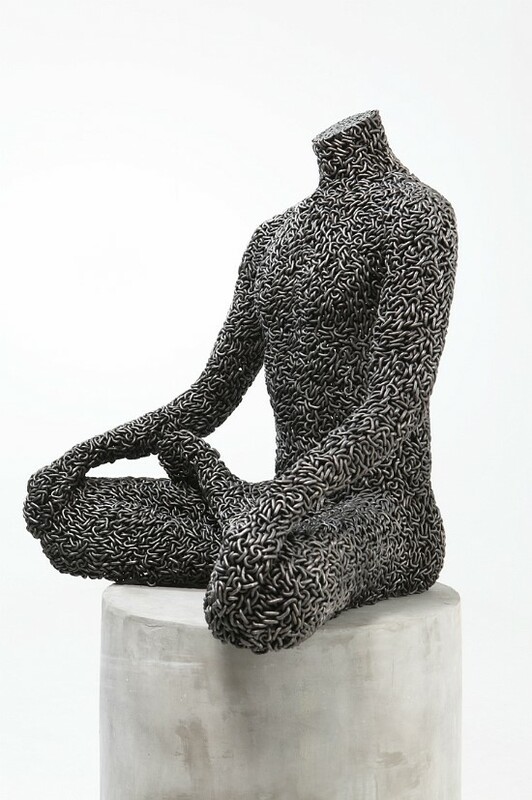 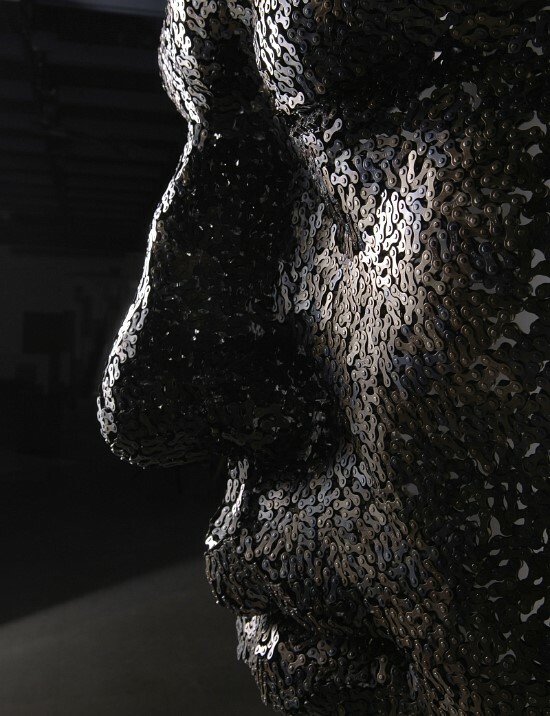 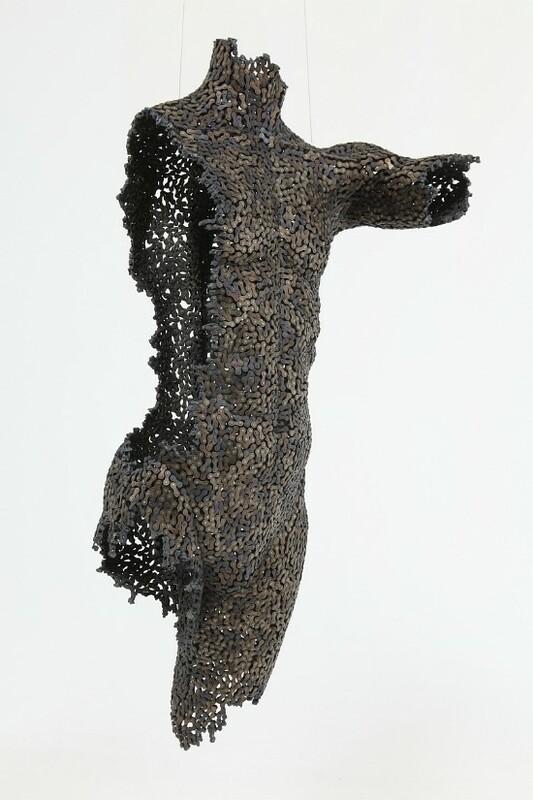 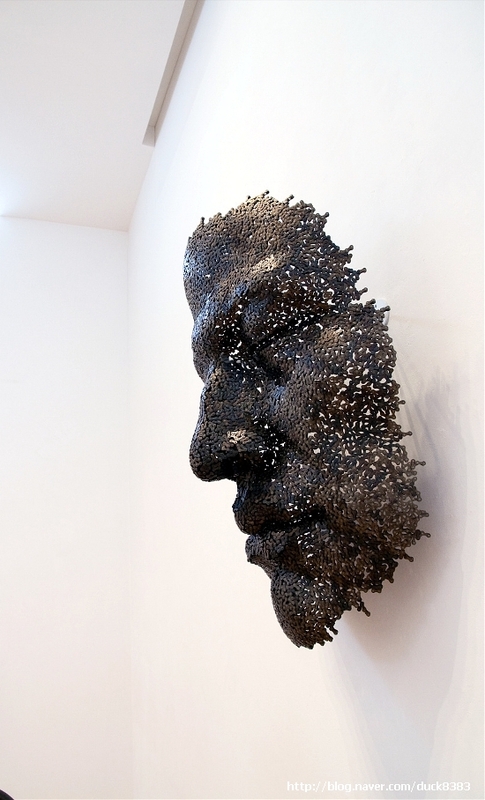 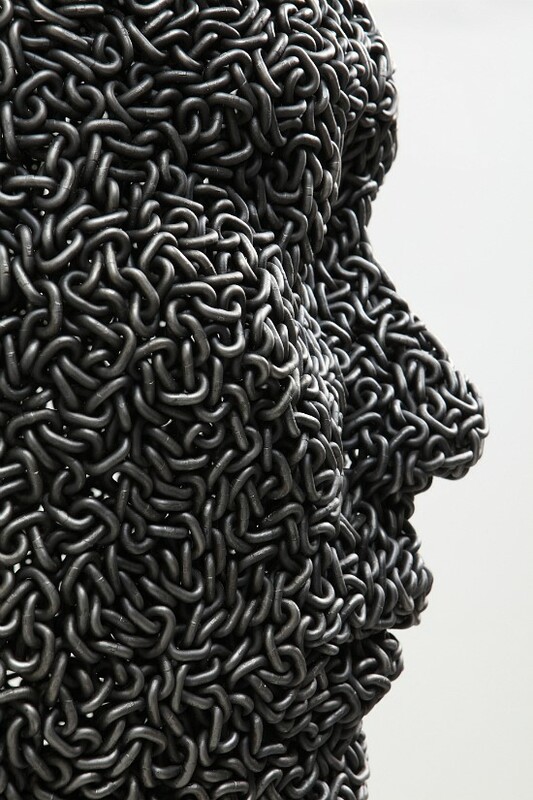 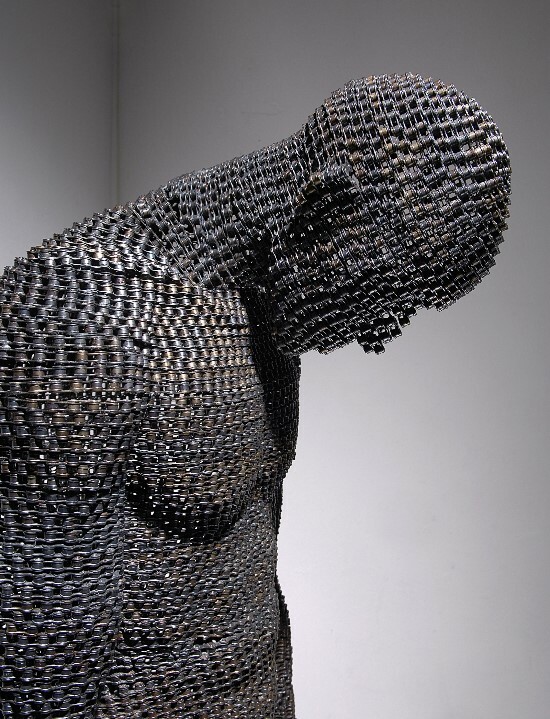 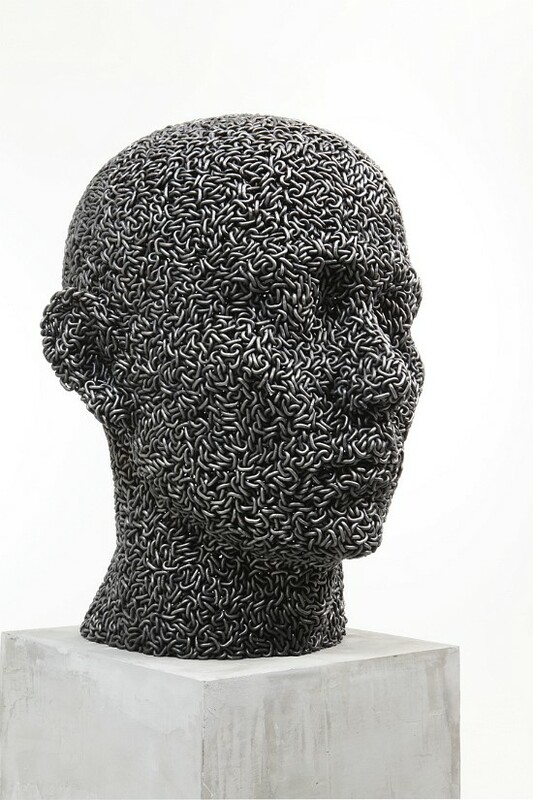 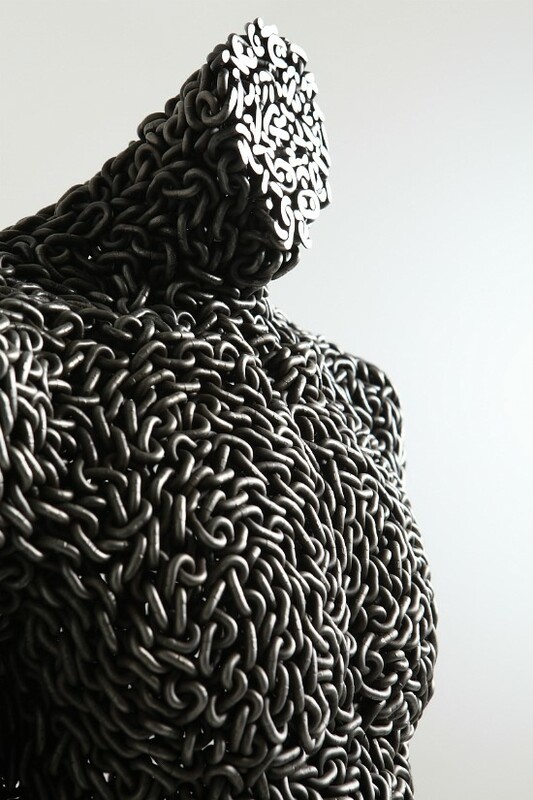 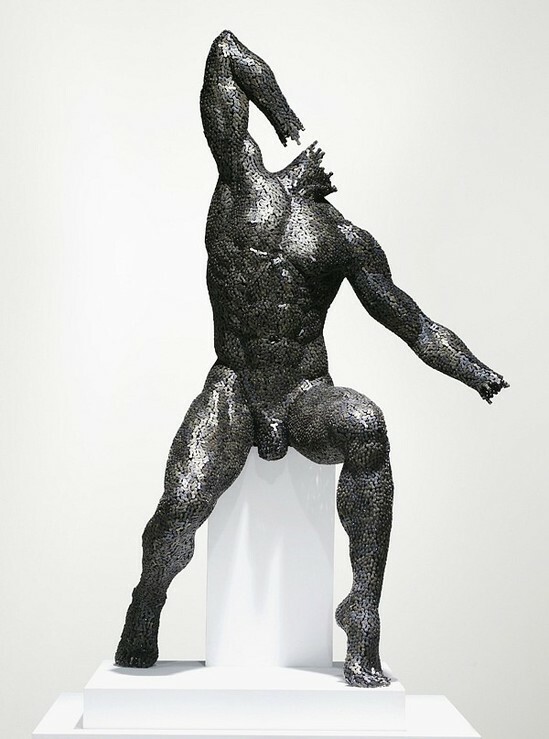 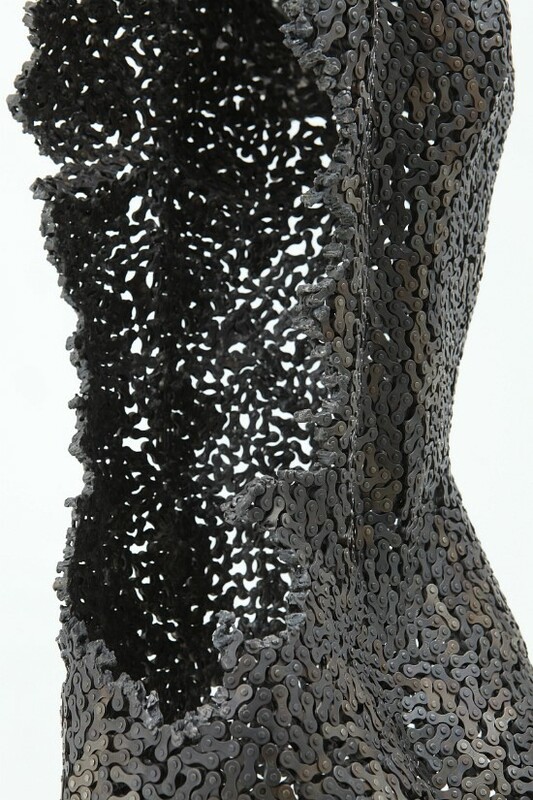 Yeong Deok Seo is a Korean artist who creates sculptures made of chains. 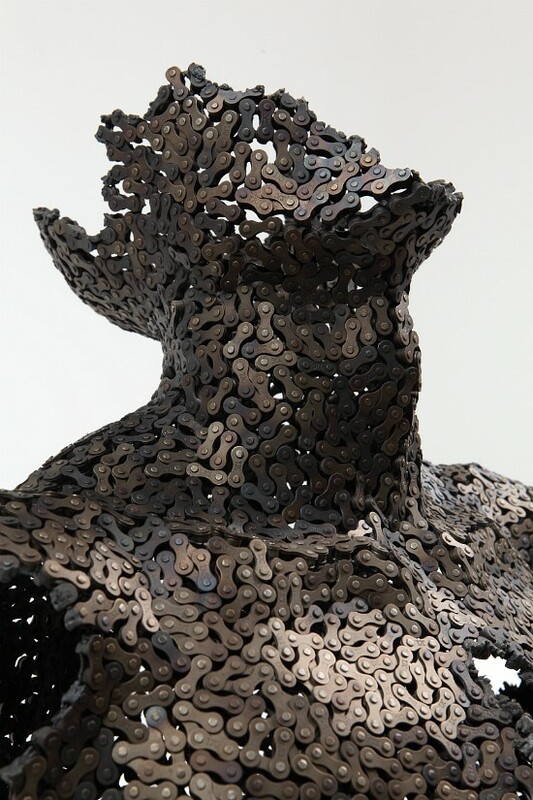 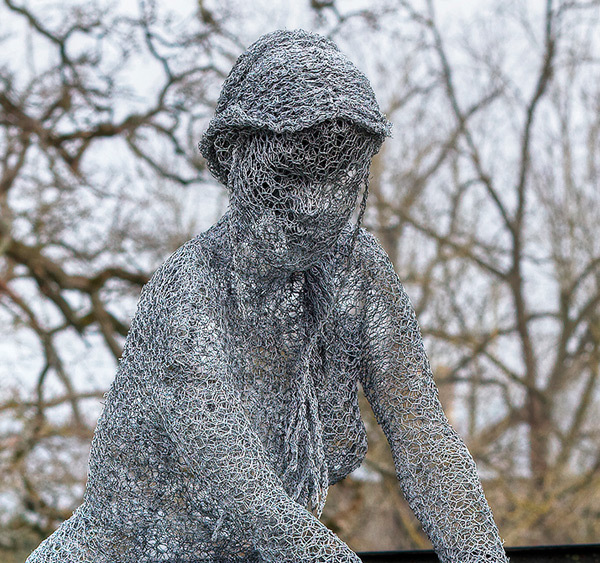 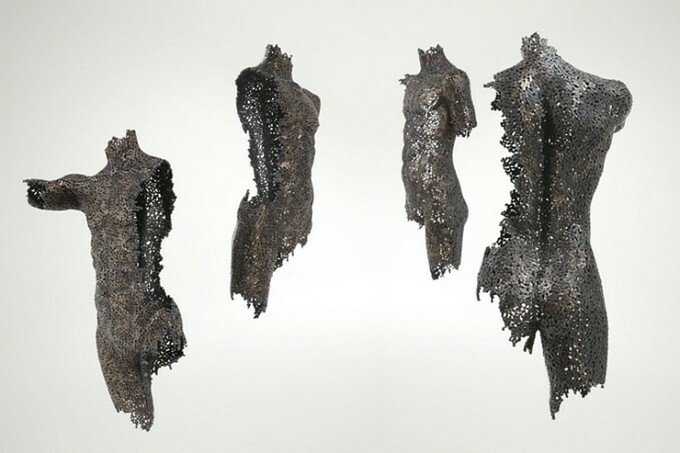 Juman figures from industrial and bicycle chains as a metaphore of humanity’s circulation. 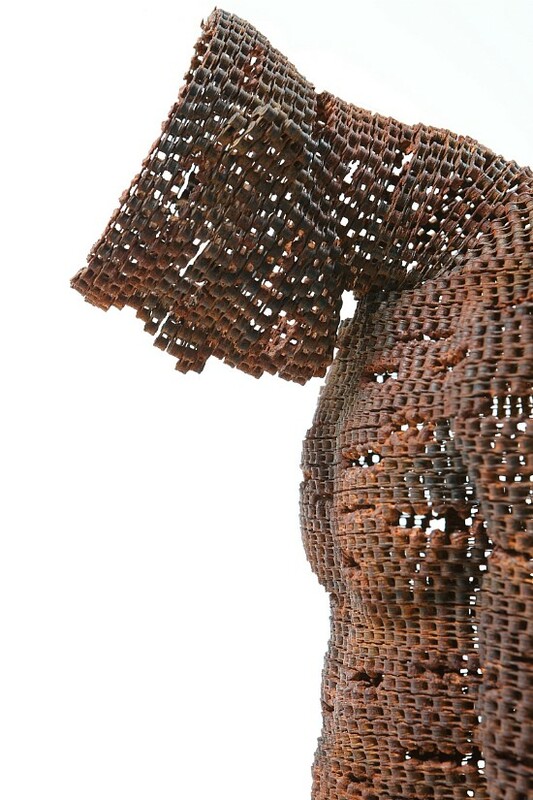 His work is just overwhelming!